This page is designed to help readers find current (mostly) MM or gay romance, fiction or lit or erotica at a good price, or for free, sometimes there are variations – always check the blurb/tags. This list isn’t a recommendation post but some of the books may be reviewed on here – you can use the search bar to help if required. Click on the individual covers to take you to the book on Amazon, or a named publisher’s site. All prices are current at the time of publishing (this week: December 4th, 2017) and we aren’t responsible for changes to the prices listed below a book, they are only a guide at the time of publishing this list. Please check before you buy or download any book. The prices are also listed in US dollars, be aware of your own country’s exchange rate. Thank you so much for doing this! I just snagged 5. It’s always great to find a bargain. I’m loving the new layout of the site too. Really pretty. That’s absolutely why we do it, Lauren, so readers can get a bargain and also to maybe find a new-to-you author that you’ll (maybe) keep on enjoying. 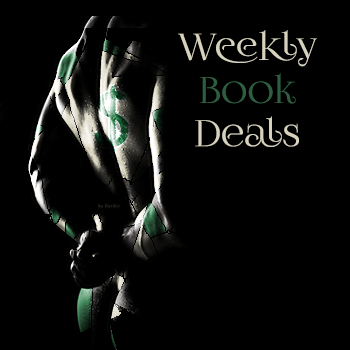 I don’t have time to look at all the writer and publisher sites and Amazon is not friendly at all so I love these deals here and in other places. Thanks!